American Chimney and Masonry, Inc. Comment: Need someone who can do a check on an old fireplace gas insert, do some cleaning, restoration or quotes to close it off and replace it with a new insert. 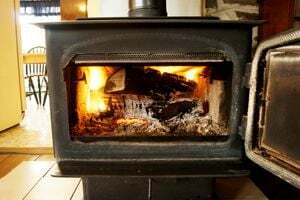 Comment: I have two gas fireplaces and need them checked for safety and repaired. Comment: It is a fireplace insert and it doesnât Work. Comment: we have a wood burning fireplace and it has a gas line in it.we would like to turn it into a gas fireplace with gas logs. Oklahoma City Fireplace & Wood Stove Contractors are rated 4.74 out of 5 based on 506 reviews of 6 pros. Not Looking for Fireplace & Wood Stoves Contractors in Oklahoma City, OK?